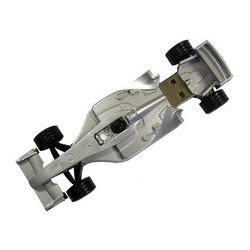 We are offering a wide range of Car Shape Pen Drives. Designed in the shape of a car, these pen drives are appreciated for their excellent writing speed, fine finish, high user interface and longer service life. We are engaged in the supplying and retailing of optimum quality Car Shape Pen Drive to our prestigious clients. Designed in the shape of a car, these pen drives are appreciated for their excellent writing speed, fine finish, high user interface and longer service life. Our professionals procure these pen drives from trustworthy and well established vendors. Looking for Car Shape Pen Drive ?